This debut album certainly gave me a new music ear (no pun intended), it was something I was just blown away by. A Rock band with a sound that incorporates the energy of Punk, the anthemic sound of Rock and incredibly the unmistakeable Scottish bagpipes! It was like nothing I had before and have not heard since. 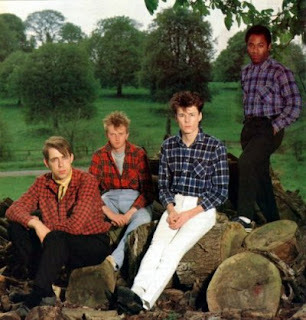 Big Country are an exceptional band of musicians and even though they are still playing today, the superb gutsy vocals of the late Stuart Adamson were the key to their success. I personally think they were a very underrated band, they were unique, they wrote great songs and also incorporated Folk styles into their own brand of Scottish Rock. Onto this album, "The Crossing" gave us four singles, the debut "Harvest Home" failed to chart in the UK. It was a brilliant introduction to the band's sound, a pulsating almost Punk-like chanted spoken track with Scottish drum and bagpipes (guitars) abound, like a marching band rhythm. The first hit for the band came with their next single, the exciting "Fields Of Fire", I remember listening to this in headphones and the guitar sounds were so pure and the Celtic Folk elements were heard in abundance. More melodic than the debut single which was probably why it was a bigger hit, a great chorus and more atmospheric. After this single reach number 10 in the chart came, the most well known song of their repertoire although only reaching number 17, "In A Big Country". The track became a massive hit in the U.S.A. too. As the opener to the album it was simply huge and a fantastic song. Everything that "Harvest Home" and "Fields Of Fire" gave us appeared in this track. Celtic drums, catchy chorus, chants, the classic Bagpipe guitars, simply a brilliant song and one of my alltime favourites by any artist. Great singalong and one for the Air Guitar enthusiasts! "Chance" the fourth single reached top 10 and peaked at number 9. A ballad, and it was a gorgeous song, simple in its composition but incredibly emotive, no big booming crescendos just a light, lilting backing to Stuart's sensitive vocals. Love this song. "Inwards" was a more Pop Rock song than the singles, with minimal normal Big Country traits, also parts of it reminded me of Medieval ambience. "A Thousand Stars" reminded me of U2 at the time for some parts but then the guitars kick in with that familiar pipe onslaught and it brings you back to where you belong. A little more Instrumental than usual but its a nice song. "The Storm" is a beautiful song, some intricate musicianship here. Amazing ambient sounds with some choral backing and harmonies amid a light chug-a-chug guitar and drum which at times features on its own to give a mysterious feel. Again, my advice to you is listen to this album in headphones to get the full effect! 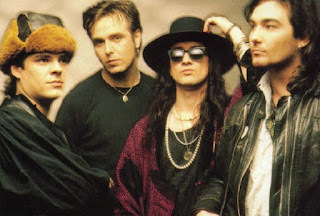 "Lost Patrol" is almost Goth Rock, minimal lyrics and the familiar atmospheric whirring backing akin to The Mission and The Cult who came later on the scene. "Close Action" hints at Progressive Rock with a little Folk thrown in for good measure. A reasonably slow track but nonetheless excellent. The album ends with the 8 minute epic "Porrohman". A fitting end as it incorporates every sound and nuance of the previous 9 tracks. For this track see above! Its epic and sums up the whole amazing album by a great, original and unique band. Great band and music. Wish I could have seen them live in their heyday. First band I saw live. First band I collected. 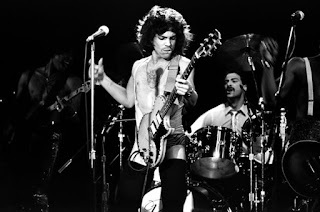 The difference between the layered multitracked guitars on this album, compared to the stripped down twin-guitar and no backing tape live versions is vast. As a guitarist, this album leaves you feeling useless as there is so much going on and you don't understand why you can't play it note for note. 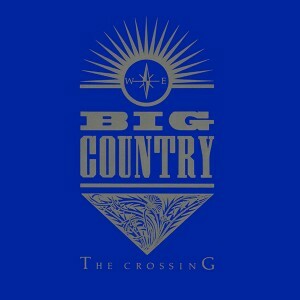 Finally got my head round how they did it a couple of years ago and, oddly enough, I now consider "The Crossing" to be a studio masterpiece, which is odd considering that live was where Big Country had the best reputation. Steeltown, The Seer and Buffalo Skinners are excellent albums as well. Steeltown takes a little getting used to but it is dense, and a must for guitar aficionados. The Title track, “Tall Ships Go” and “Where the Rose is Sown” are excellent. The Seer is a shade more poppy and “Look Away” , “Eiledon” and “Remembrance Day” are superb standouts. Kate Bush appears on this album as well. Buffalo Skinners has my favorite BC song “Ships” which has an edge that comes full circle with the highland roots of American Country music. “The One I love” “Alone” and “7 waves” are stellar.